Swansea forward Oliver McBurnie has soared into pole position in the Power Rankings chart - ending Jarrod Bowen's four-week streak at the summit. McBurnie has been in impressive form in the past few weeks, scoring five goals in his last three Championship games to help Swansea pick up seven points in January. Bowen hasn't slipped too far, though. He is third in the latest rankings, although he did fail to score against Blackburn last weekend - the first time he hasn't scored in a game since Boxing Day. Abraham is second, meanwhile, having scored his 18th and 19th goals of the season against Ipswich last Saturday. He is currently the Championship's top scorer. Mario Vrancic has dopped to fourth, while the rest of the top 10 are all climbers in the in-form chart. Che Adams (fifth) of Birmingham and Alan Browne (sixth) of Preston have both been in the goals lately, while Blackburn goalkeeper David Raya and Nottingham Forest stopper Costel Pantilimon are seventh and eighth respectively. 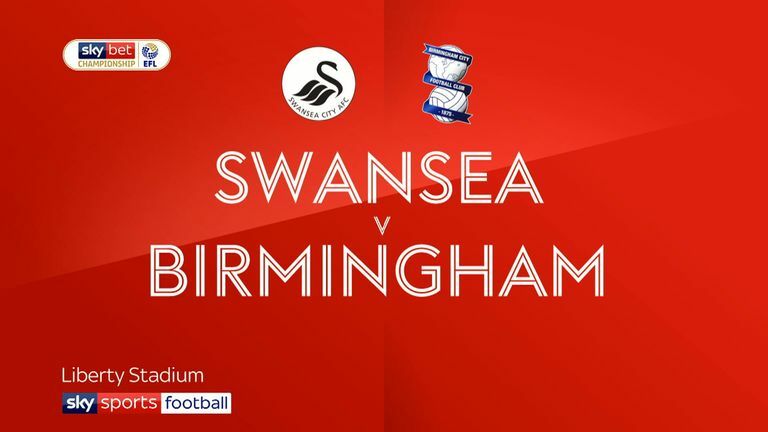 Highlights of the Sky Bet Championship match between Swansea and Birmingham. Another Forest player in Joe Lolley is up to ninth and Preston defender Jordan Storey is 10th.